OnePlus 6 is one of the most popular smartphones because of its speed, performance, and high-end specs for a reasonable price. If you own this phone and want to enjoy the awesome features introduced with the Google Pixel 3, you got you covered. 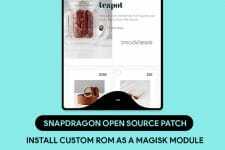 By flashing the ROM featured on this page, you can easily turn OnePlus 6 into Pixel 3 XL and enjoy all features and goodies that come with Google’s much-talked-about flagship. 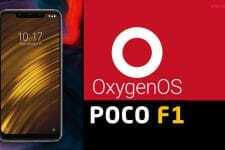 Read on download the ported Pixel 3 ROM for OnePlus 6 and flash it using the steps described below. We all know that the OnePlus 6 was released earlier this year by OnePlus. It has been the flagship smartphone from OnePlus until the T version is released by the company. As good as the OnePlus 6 is, it is still lagging in one area. This area is the camera on the OnePlus 6. The OnePlus 6 has a dual camera setup on the back with portrait mode and other features. 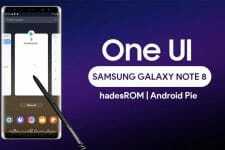 But, it is still not up to the level of Samsung, Apple or Google in terms of image reproduction. This is where the Android community comes into action. You must be jealous of the Pixel 3 series which was recently released by Google. Yes, we know that the design of the Pixel 3 series is not the best. But, you cannot argue that it is the best camera on any smartphone out there. Apart from the camera, there are various features on Pixel 3 that are awesome as well such as call screening etc. Therefore, you can now get all the features of the Pixel 3 XL on your OnePlus 6. One of the XDA Senior Member, ProtoDeVNan0, has ported the entire firmware of Pixel 3 XL to the OnePlsu 6. This means that your OnePlus 6 will now become the Pixel 3 XL once you flash this firmware to the device. 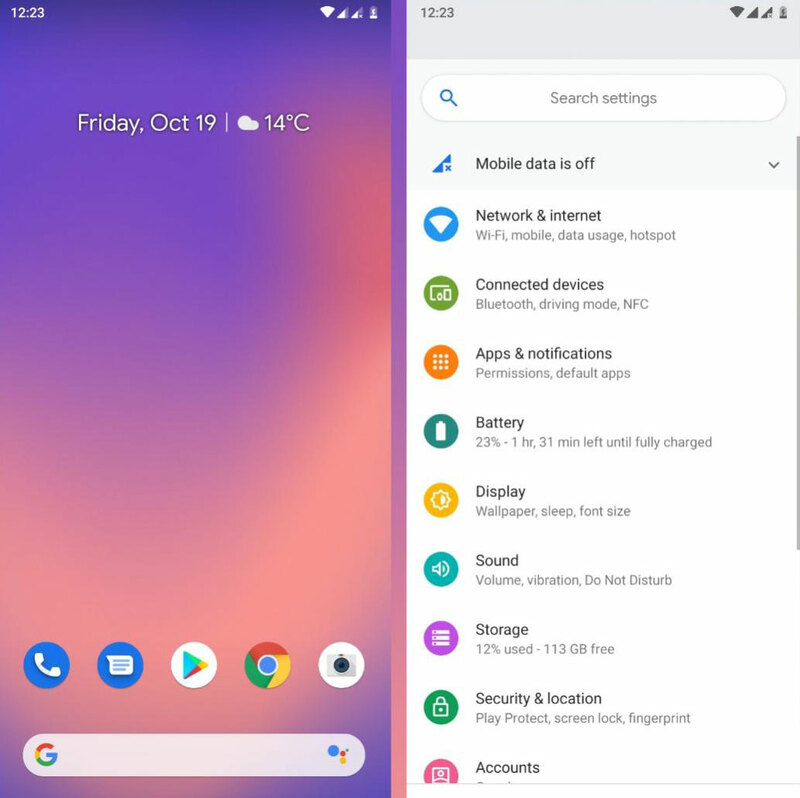 Also, we have listed all the features, known issues as well as the entire tutorial for installing this Pixel 3 XL port on your OnePlus 6. 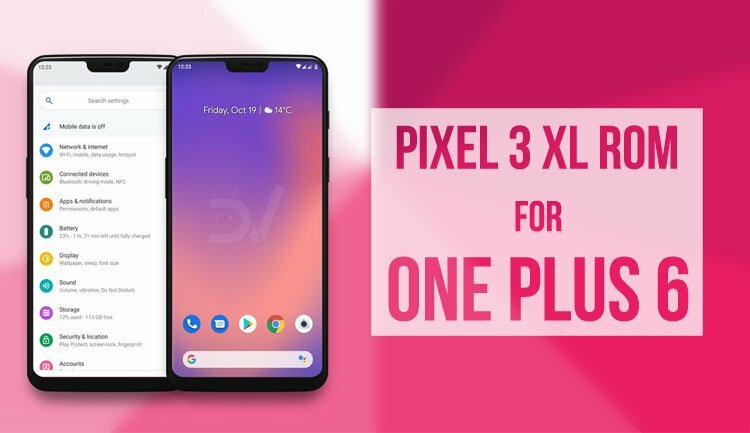 Thus, you need to carefully follow all the steps mentioned below and your OnePlus 6 will be converted to the Pixel 3 XL. You need to make sure that your OnePlus 6 is charged to at least 50% or more battery capacity. This means that you are not at risk of device getting bricked due to low battery. After downloading, extract this zip file using any zip extractor software such as WinZip. Now, open the folder on your PC in which you just installed ADB and Fastboot. Here, right-click anywhere and click on Open CMD window here. Now, the command prompt window will open on your PC. 9. Now, type the following command in your Command prompt window once again. 11. After this, you need to boot into TWRP recovery on your OnePlus 6. For this, you have to power down your device once again. Now, press Volume Down+Power button for few seconds and your device will boot into recovery. 12. Now, go to the Mount section inside TWRP and mount vendor partition. 14. Now, just reboot your device normally. You will not see the setup wizard on first boot but this is expected. 15. Now, download both the GMSCore and OnePlusCamera apk files attached in Download section above and transfer them to your device’s internal storage. 16. Install both the apps to your device after that. Reboot once again after installation. 17. After rebooting, you should have your OnePlus 6 completely overhauled into a Pixel 3 XL. Enjoy all the Pixel 3 XL features on your OnePlus 6 with ease. Make sure that you read and follow each and every step carefully. If there are issues with the ROM, rest assured that the developer is constantly working to bring fixes. Feel free to comment down below for any suggestions, questions or issues with the tutorial above.